Daily Pivots: (S1) 0.9999; (P) 1.0013; (R1) 1.0040; More…. 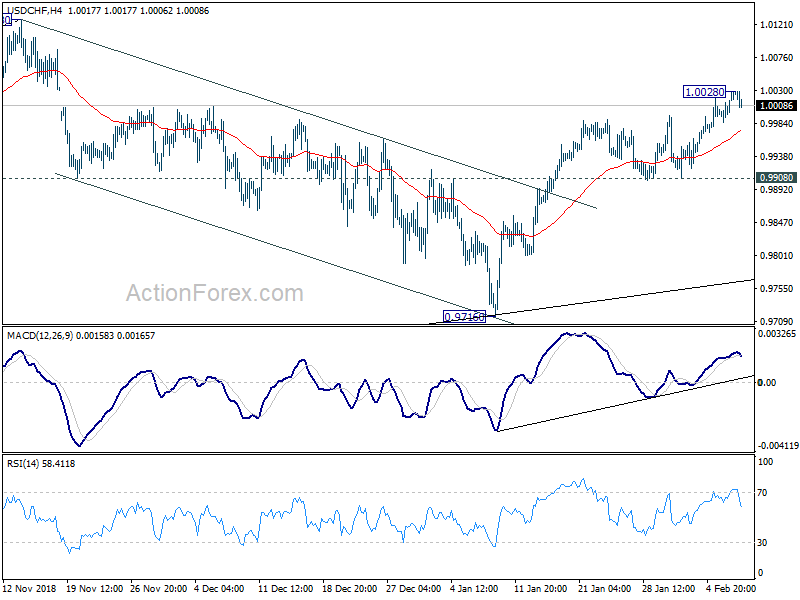 With 4 hour MACD crossed below signal line, a temporary top is in place at 1.0028 in USD/CHF. Intraday bias is turned neutral first. Some retreat could be seen but downside should be contained by 0.9908 to bring another rally. As noted before, corrective decline from 1.0128 should have completed at 0.9716 already, after hitting trend line support. 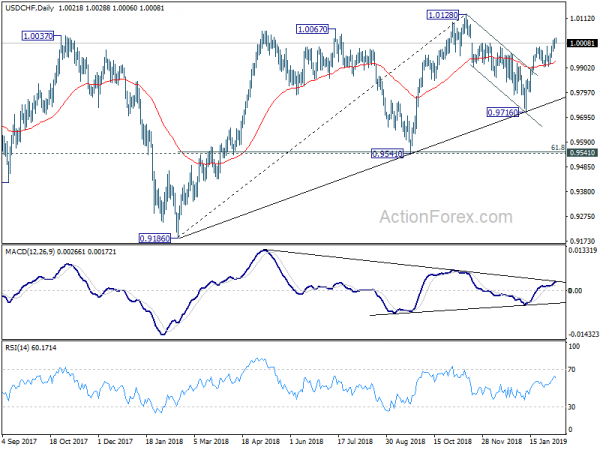 On the upside, above 1.0028 will resume the rise from 0.9716 to retest 1.0128 high first.